That’s a great quote from the timeless Dr. Seuss. The same sentiment is at work when you hire Tennessee’s finest wedding DJs: Scott Stevens Entertainment. With us, your wedding reception will exceed your dreams. You won’t want your celebration to end, because it will be so much more than you ever dreamed possible. Let’s be clear about something: you don’t have to spend a fortune on your wedding day to experience the party you wish would never end. But you DO need to invest your limited resources wisely in one key area: the entertainment. Reality is about to exceed your dreams! Entertainment makes the event. Scott Stevens Entertainment knows how to bring people together and fill a dance floor in celebration of your special day. 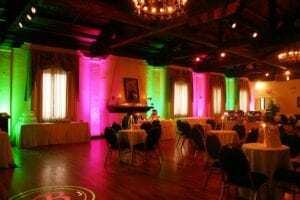 Our uplighting will transform a plain hall into a palace, so don’t worry if your decorating budget is modest. We will make you feel like royalty. It’s really true, like Dr. Seuss says. 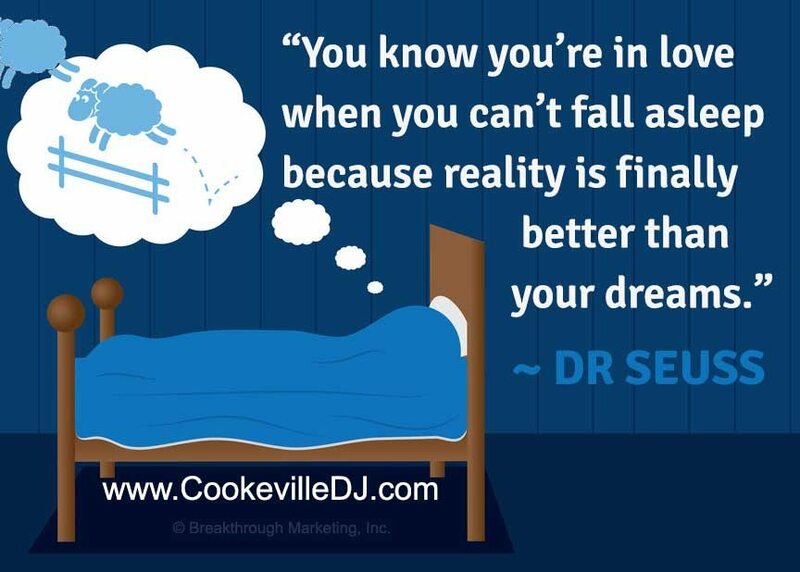 You’ll have trouble falling asleep that night, because at last, reality has become better than your dreams. New technology enhances wedding communication!